I can’t believe that it’s been over 5 years since I completed my study abroad program in Cordoba, Argentina! Where does the time go!? I guess time flies when you’re having fun! For some reason today I’ve been thinking about a particular event that occurred while studying abroad….I think that we were about half way through our stay and a bunch of us began to crave things that we couldn’t have (or things that just weren’t common in Argentina). Prime example: bacon. Now, I’m not an avid bacon eater….once in a while if I head out to IHOP I may munch on a strip or two….but like I said before, you always want what you can’t have. And we had it bad…we found ourselves talking and talking and talking about bacon….A LOT. Finally, one Saturday afternoon when we just couldn’t take it anymore we decided we were going to have a good ole’Merican breakfast….yes all of our host families thought we were crazy (those crazy Americans and there BIG breakfasts!). But the day of our feast as we entered the grocery we couldn’t find the one thing we all really really wanted….BACON! So, we settled for jamón crudo…and fried it up a bit….at least it smelled like bacon! …To all those students returning to school this week! I hope you have a great start to a new year! I remember the first day of school. I would pack my backpack the night before and get everything organized (I was nerd, but that’s ok!). Then every year my mom would take a picture of me at the front door, all ready for school. And when I say every year, I mean every year….I didn’t look so thrilled in my senior pic! Anyway, I always remember be a little nervous every year that first day. You never knew what teachers you’d get and of course you’d heard stories of teachers you didn’t want to have….it was all a little nerve racking. But, I liked settling into a daily routine and after a week or so everything was fine! So here’s to a great week of settling in to your routine! And were ready to help you get a jump-start on tutoring whenever you are! I thought I would spread the birthday cheer! If you 5 book sessions by August 12 you can still get 5% OFF! Use a session or two to prepare for school and the rest throughout the semester! 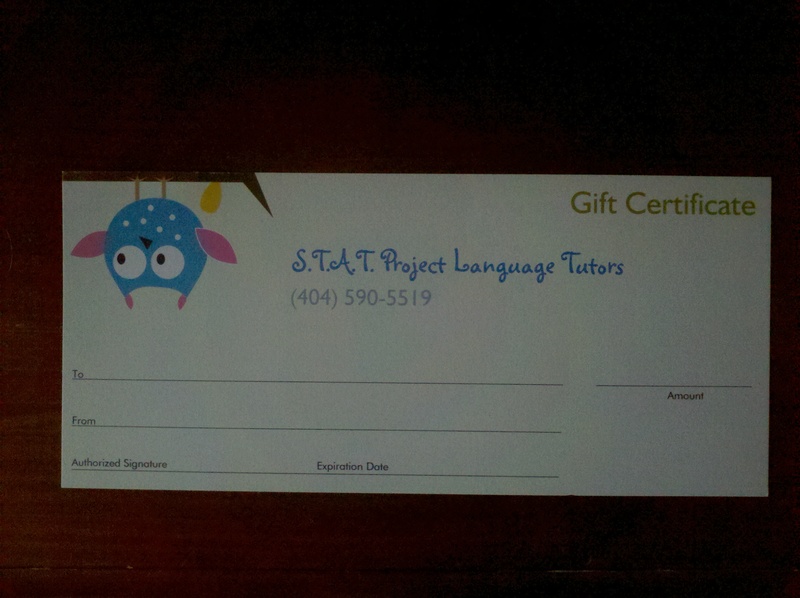 They won’t expire and we even have nice gift certificates for you to give to others!